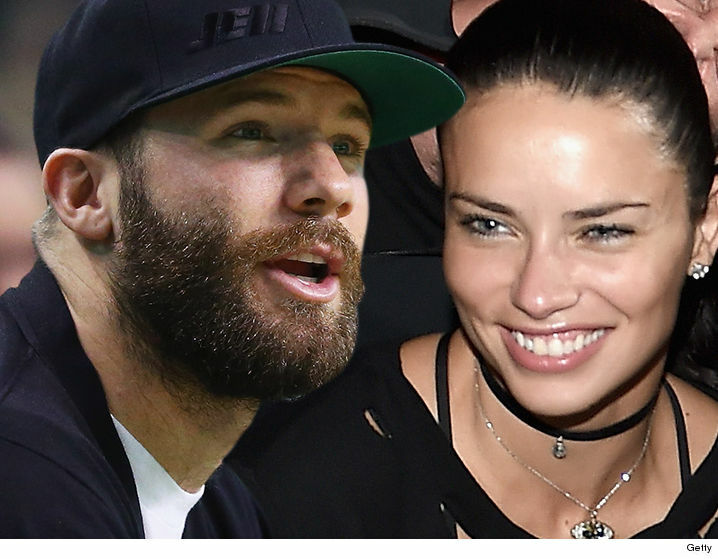 Adriana Lima again single after Break up with Julian Edelman? Who is she dating currently? NFL’s Julian Edelman was the happiest guy on earth last month and why wouldn’t he be? As last month Edelman had everything a guy dreams of, winning a Super Bowl with a magnificent catch, beard thicker than ever, and supermodel Adriana Lima as a girlfriend. Sadly, things aren’t the same with Edelman at present because he lost both, his beard and girlfriend. Yes, you read it right! The planet’s hottest couple has officially split. Lima and Edelman broke up just after a month from the Super Bowl. Find out what happened, right here! Lima and Edelman were spotted hanging out together a lot. They tried a lot to hide their relationship, but eventually, they couldn’t escape the eagle eye of their fans. Even though they haven’t attended any red carpet and events together, they are believed to have dated since last summer. When the Patriots defeated the Stealers in a game that took place in January, Lima was heard calling Edelman as ‘My Lover’. She even kissed him on camera during the event. When E! asked Lima if she thought Edelman made such wonderful catch in her honor, she replied saying that she’s a better catch than that. The pair's breakup came as surprisingly as their dating news. Things went off between them and E! claims that the pairs split is due to their conflicting schedules. It seems like supermodel Lima has a soft side for athletes as she was previously married to Marko Jaric who is also a professional basketball player. Lima is a mother of ex-husband Jaric’s two gorgeous daughters, Sienna, and Valentine. Are Adriana Lima and Matt Harvey dating? At present, Lima is rumored to be dating Matt Harvey, a New York Mets basketball player. The pair was spotted on a romantic dinner date in Miami on a private yacht. She was also seen making out with him. She is also seen really close with Miltiadis Kastanis on her Instagram. Kastanis has also posted the same photo with a caption: 'With my love @adrianalima". It’s really tough for a lady as gorgeous as Lima to stay single. Even though she hasn’t confirmed her relationship with Harvey or Kastanis yet, we definitely know that she's dating. But, the question is with whom is she serious. Well, all we can do now is wait for her to come out soon and address the rumor about her relationship. Meanwhile, we hope Edelman finds the right girl for him as well. Best wishes to both of them.